On the Coast's food columnist Anya Levykh offers her recommendations for restaurants that will fulfill all your cheesy, gooey, and grilled needs. On the Coast's food columnist says grilled cheese sandwiches are a popular menu item in Vancouver. It's a simple formula: melt some cheese between two pieces of bread. But the secret to a truly memorable grilled cheese sandwich can take you down a path of infinite possibilities — cheese varieties, bread varieties, grilling techniques and secret ingredients — to truly make your taste buds pop. On the Coast's food columnist Anya Levykh says Vancouver restaurants are increasingly putting the classic sandwich on their menus. "It's your childhood all over again," says Levykh. "What could be tastier or easier to eat than a grilled cheese, especially paired with some tomato soup?" Here are her recommendations for restaurants to fulfill all your cheesy, gooey, and grilled needs. If you're looking for a classic grilled cheese with tomato, this is the place to be. This original Gastown diner offers a grilled cheese that's nothing fancy, but it's simple and good. On the search for a more elaborate version of the classic sandwich? Burgoo offers one called a Gooey Cheese Griller and is made with mozzarella, gruyere, emmenthal and white cheddar. To satisfy those late-night cravings, check out this tiny take-out window that recently opened at 22 East Cordova. It's only open Thursdays through Saturdays from 8 p.m. to 2 a.m. PT and has about five types of grilled cheese sandwiches, including some with Sriracha, mac 'n' cheese, garlic butter, and bacon. Why settle for only one type of cheese when you could have more? 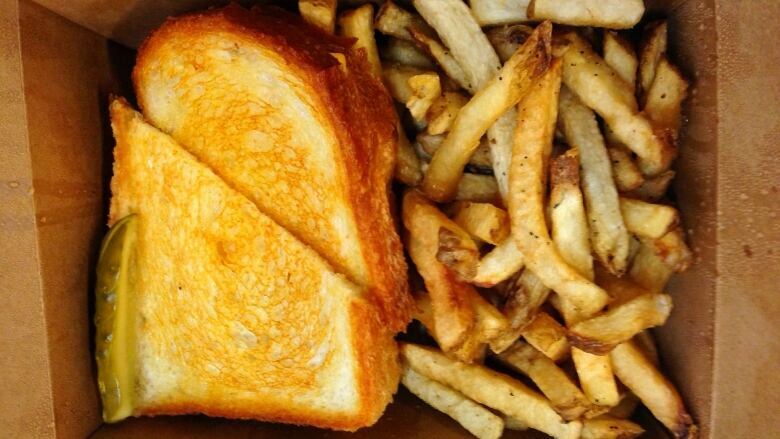 The Red Wagon makes a mean grilled cheese with cheddar, goat cheese and swiss. Back to fancy territory. Batard Boulangerie serves an open-face grilled cheese with asiago, cheddar and mozzarella and a tomato-fennel chutney. This southern-style restaurant offers a pimento grilled cheese with kimchi and scallions. Check out Zee's for their Cubana with pulled pork, or try the Gaia with mushrooms and caramelized onions.